Central Florida Home Builder SanderSon Bay Fine Homes. The Best Citrus County Builder. Voted the Best Citrus County Home Builder, SanderSon Bay Fine Homes would love to help you build your dream home right here in Citrus County, Florida. 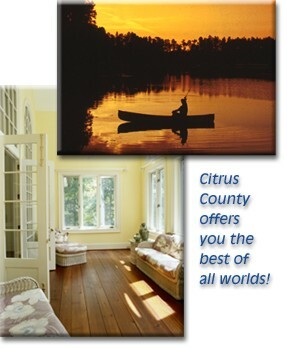 Citrus County's spectacular natural homesites are world-renowned for their natural beauty. The Citrus County area features award-winning golf courses, abundant wildlife, wonderful rural lifestyle, low cost of living, low crime, and the friendliest people in the world - all of which provide the perfect backdrop for SanderSon Bay Fine Homes and your new custom designed home. Enjoy the very best in Florida living with a home designed especially for your lifestyle from experienced builders recognized for their commitment to making your vision a reality. SanderSon Bay's new custom home designs serve only as a starting point in the development of your new home's plans. We do not have "model homes", rather, we have "Display Homes" designed to spark your imagination. The Display Homes are loaded with options, but the idea is for you to see what is possible and think through what you would like. We provide you the opportunity to add your own signature on your home design. We are one of the Premiere Citrus County Builders. Building new homes in Citrus County and all of Central Florida for decades! We want to be known as the listening builder. Looking for something? Search our site, click here.